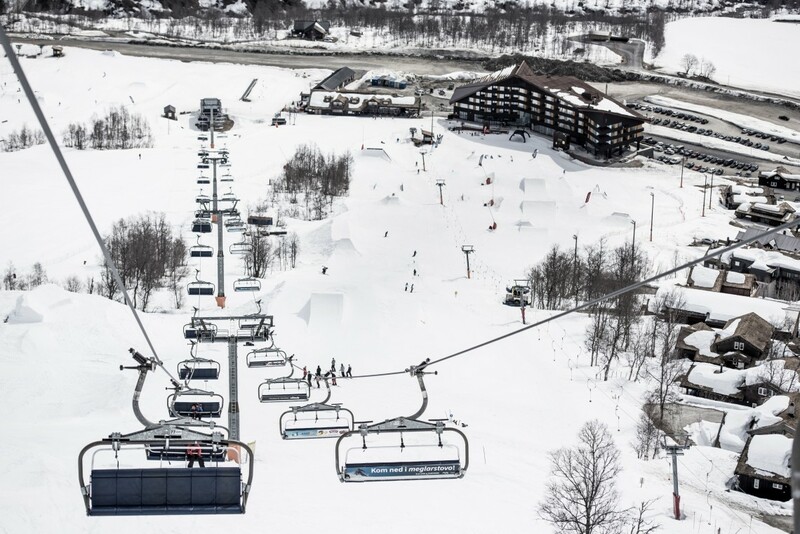 Open Klasse returns to Myrkdalen next week for its fourth edition. 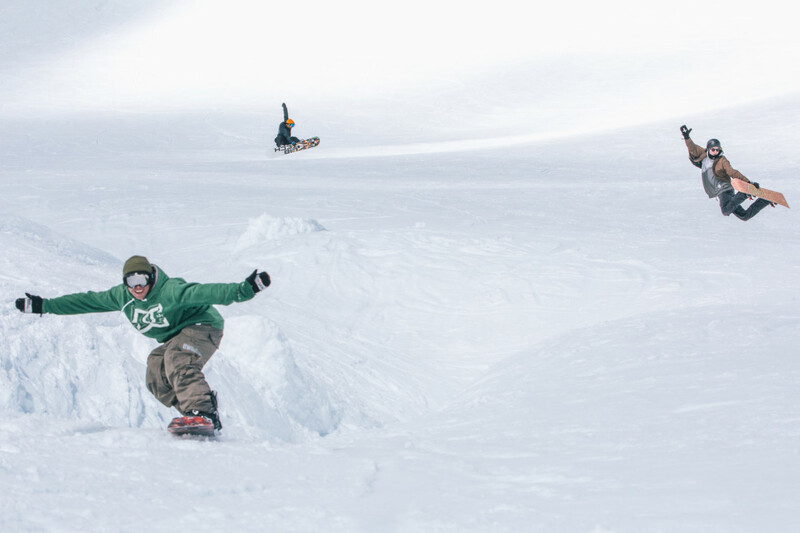 As many ski resorts begin to close their gates in the Alps, the spring spring shred fever migrates north to Scandinavia, where the slushy spring days are just getting started. 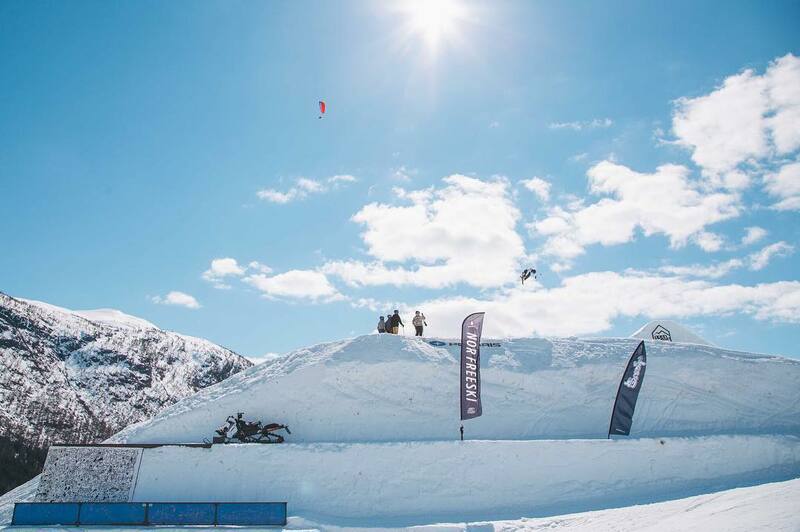 One such migratory destination is Myrkdalen, Norway, which from 27 April – 1 May 2018 will host the fourth edition of Open Klasse, a five-day open-to-everyone park session complete with side contests, parties and even a snowracer course to keep things interesting. 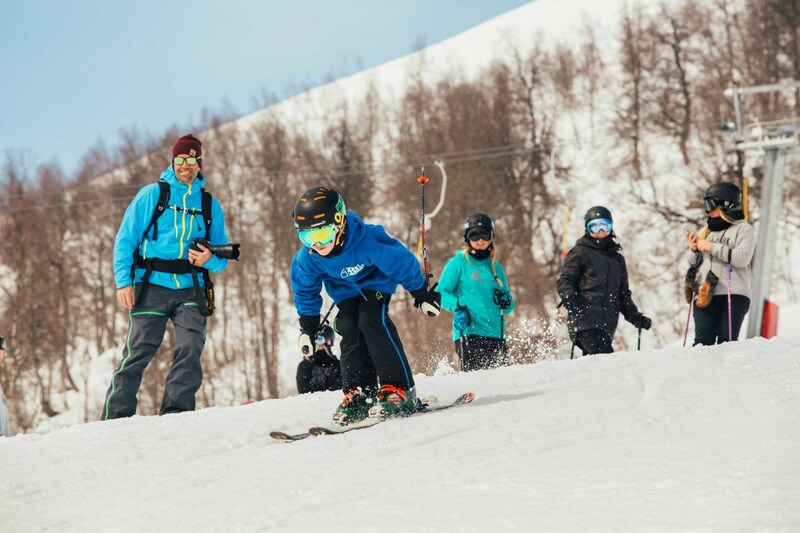 The parks at Myrkdalen are prime shape for Open Klasse and are built to be creative and fun for everyone, whether pro or beginner, reports Finne, who says that this mix is core to the event. And the secluded setting promotes an inclusive vibe among participants, whether international pros or local rippers. Openklasse.no and the Open Klasse Facebook page have all the info you need to get in on this quality spring jam session, including affordable lift tickets (5-day ticket and park access for 1.800 NOK, about €185) and accommodation (shared rooms for the week starting at 650 NOK / €68). Hey Klaus, can you describe Myrkdalen for someone who’s never been there? It’s a mountain resort, all the way up on a mountain, not the biggest but it has the most snow of any resort in Europe some years, and for sure in Norway. That’s why we can hold this event so late and build so many features. It’s a medium-sized resort with some cabins and a hotel, and it’s just a nice place to be. How did Open Klasse get started? This is the fourth year we’re doing it. We had some events like this when we were growing up that brought all the skiers and snowboarders together for a week with an awesome park. That was always the highlight of the year, and we kind of thought that was missing, it didn’t exist any more. We wanted to keep that kind of thing alive. The people who work with me on the event have all been doing World Cups and other high-level events, so they all have a lot of experience; high-level mogul skiers and so on. We got together and tried to make something happen. The feedback has been really good so far, so we’re trying to keep doing it. It’s the main season-ender event in Scandinavia, and it’s for everyone—that’s our main thing. We have the biggest jumps and the smallest jumps, a ton of rails—we’re bringing in rails from three different resorts around the area. Tomorrow I’m going up to Fonne to borrow their rails. We’re just putting in as much stuff as we can. How’s the park setup looking this year? Looks like you build some stuff by hand as well? 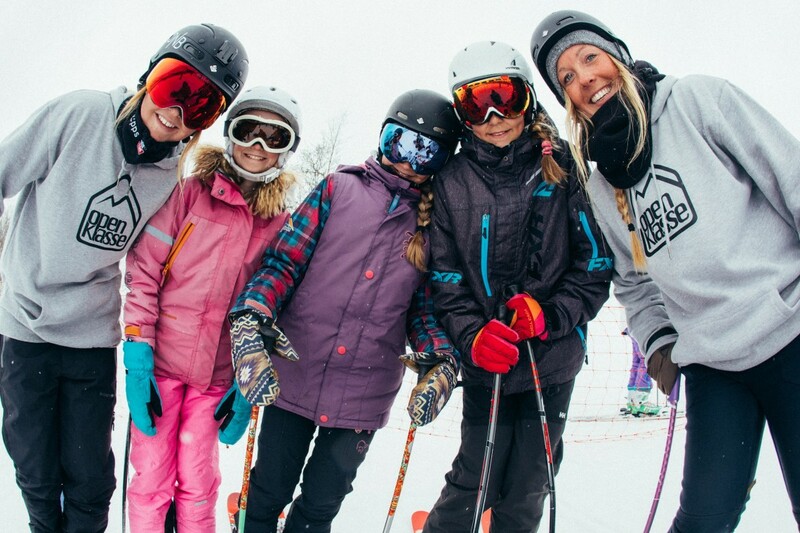 We have a lot of volunteers who come out to help, and many of them we just put out on the slope, give them a shovel and say, “Build something.” We have a standard park that goes top to bottom, sort of a huge boardercross with tabletops that everyone can use, and go as small or big as they want. At the bottom is the show area where we have the rail jam setup and a pretty big jump. We’re also putting in a pond skim and a bowl. So you can take the six-seater chairlift and do a full run from top to bottom. It’s a long ride and the whole way down will be different features, rails jumps, side hits, shortcuts through the woods. It’s a huge playground. Tell me about some of the side events going on throughout the week. Skiing and snowboarding is the focus, we run the lifts until 7 in the evening, and then we have after-ski concerts. Three big Norwegian bands are coming, and we’ll have a beach-themed party as well. We don’t really put on serious contests, we want to have fun and include everyone. The rail jam is the biggest one, you can showcase your skills and make some money. We’re also going to have a pond skim, which we’ve never had before. 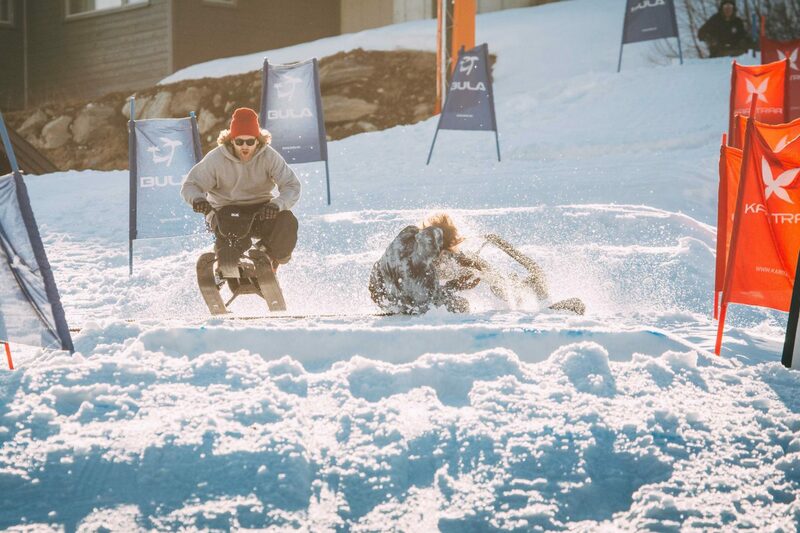 And we have a Stiga race, we’re building a big course for that and doing head-to-head, boardercross style. It’s fun for everyone and you could end up going head-to-head with your idol. Maybe you can’t beat them on skis, but you can beat them on a snowracer. It’s all very loose and we like to keep it that way.